Office buildings stretch up to the blue sky in the financial district in downtown Moscow. River transport. 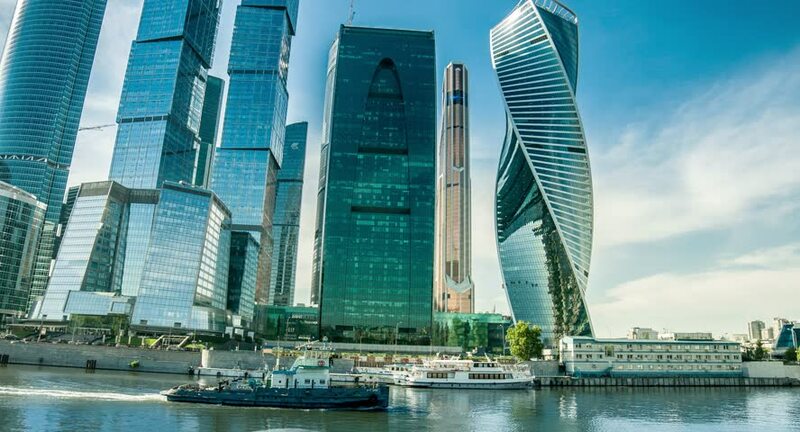 hd00:07MOSCOW - JUN 13: ( timelapse, wide view) Panorama of Moscow-City and river with embankment and ships, on Jun 13, 2013 in moscow, Russia.